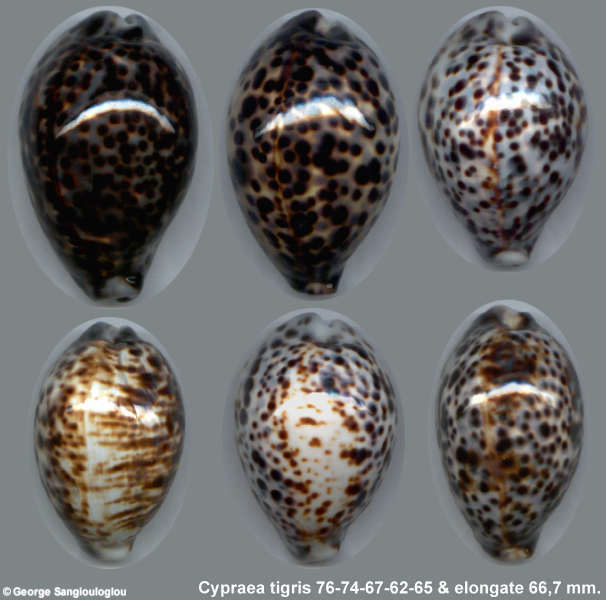 Cypraea tigris color and pattern variations from Arena Isl. April '99. The third specimen in the second row has a very unusual elongate form. All the tigris when put down on the dorsum stay in the same position. This one turns on its base just like the Cypraea Pantherina does.